I didn’t plan for it to happen. We were actually thinking of going hiking. Then there were biscuits. 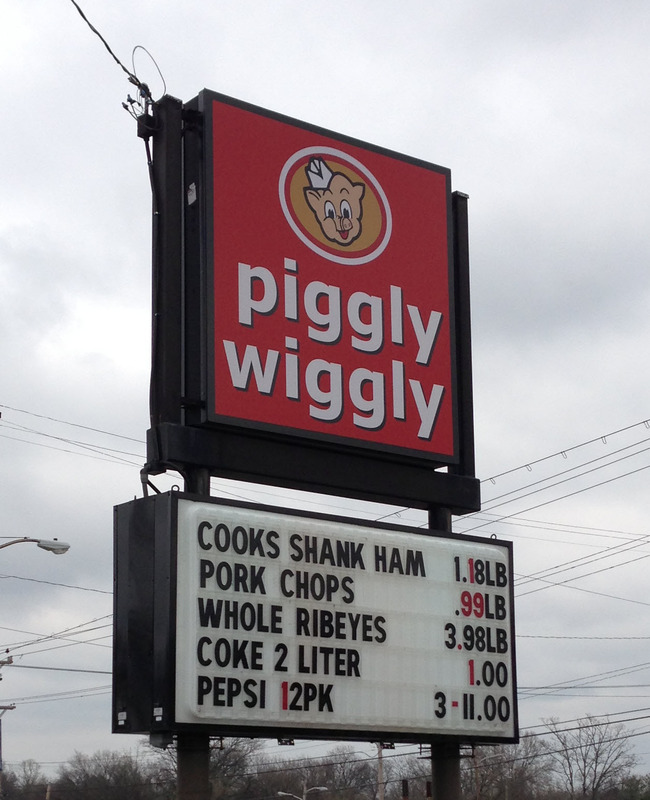 And the Piggly Wiggly. Ok, wait, let me start at the beginning. We were away for the weekend in an area called the Cumberland Plateau. On Saturday we’d gone on a lovely hike to Greeter Falls, one of my favorite places. On Sunday, we figured out where the trailhead was for the waterfall that the cabin owners had said was a “must see.” It was in the town of Gruetli-Laager, TN. “I don’t know, but we must be getting close to something!” And we laughed. Anyway, hiking was definitely out of the question, but the Piggly Wiggly was open and warm and dry. We perused the shelves, marveling at the humongous (truly) cans of turnip greens and various cuts of meat we had never seen anywhere before. Then we saw them. It was a very simple package. Easy to miss if you did not know what you were looking for. 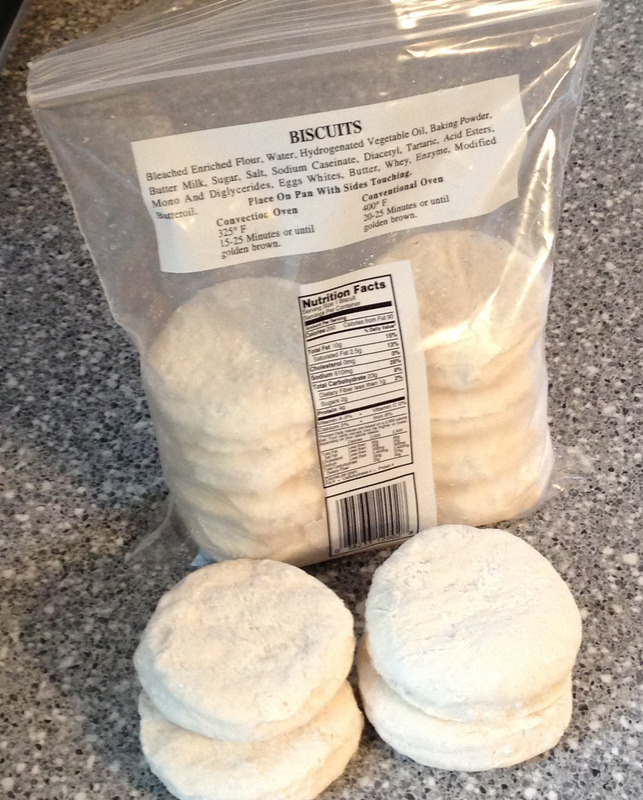 Just a stack of frozen biscuits in a plastic bag. The most basic of nutritional info and no other labeling whatsoever. No brand. Not even a distributor location. I had to get them. The next weekend I baked some of them up. That’s how you say it, you know. “Bake them up.” Just look at how they turned out! 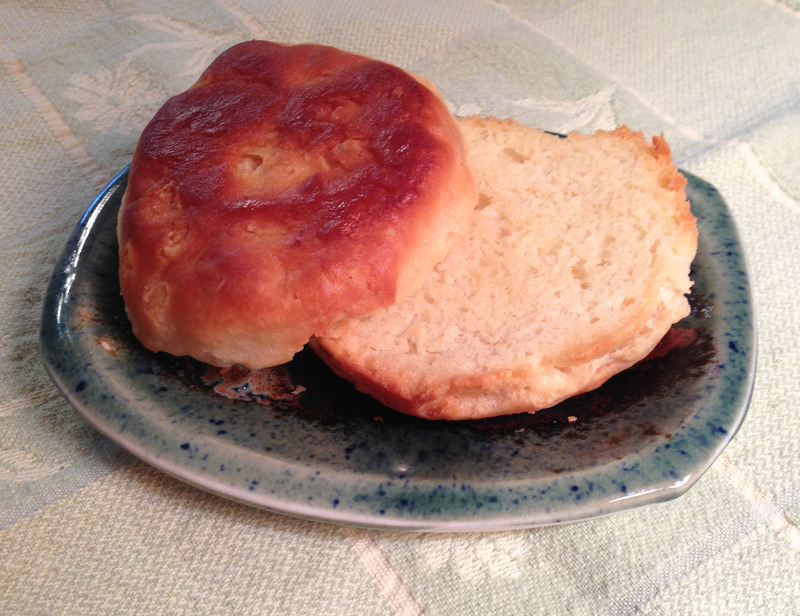 Those simple little disks rose into these fabulous fluffy, tasty biscuits! Amazing. The next day, I did the toasted biscuit test. I slathered them in butter and baked them for about 15 minutes at 400 degrees. They just browned a little at the edges. I put some Maple Cinnamon Button on one of them. Ahhh. Look how yummy. I have to admit, though, that they were not as good as I had hoped when they had cooled later that day. 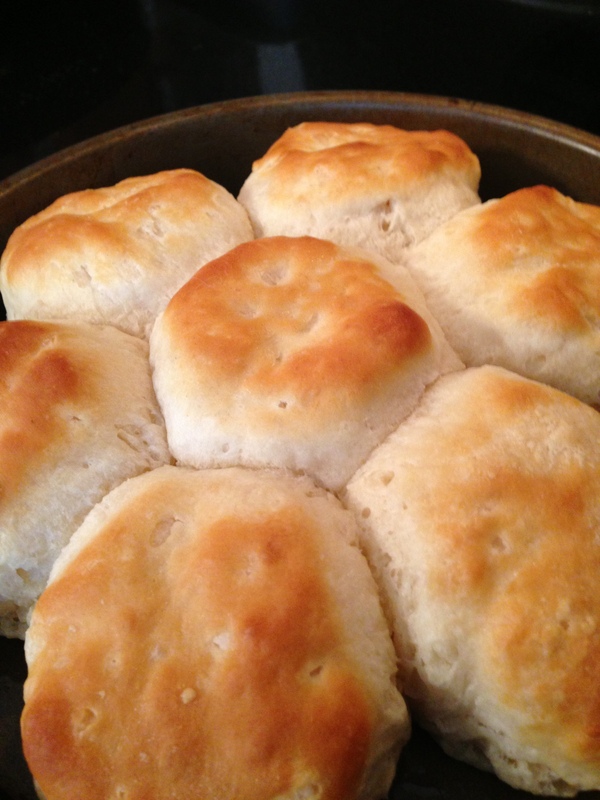 But I have some other biscuits that are perfect as leftover, leftover toasted biscuits. But that’s a post for another day.